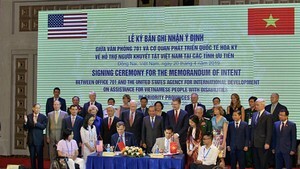 In a ceremony to honor good ethnic minority students in the presidency palace in Hanoi, Vietnamese State President Tran Dai Quang urged the Committee for Ethnic Minority Affairs, the Ministry of Education and training, relevant ministries and local governments to review and propose more favorable policies to develop teachers in mountainous areas. It aims to promote human resource and raise education level hence to eliminate poverty and hunger to develop socio-economy in the areas. President Quang stressed education and training in the areas where more ethnic minority people live gained achievements contributing to fighting poverty and hunger to life living condition of residents there. It has seen an increase in the number of schools, classes and students from preschools to higher education facilities. More and more ethnic minority students passed the university entrance examination and won prizes in the national examinations. 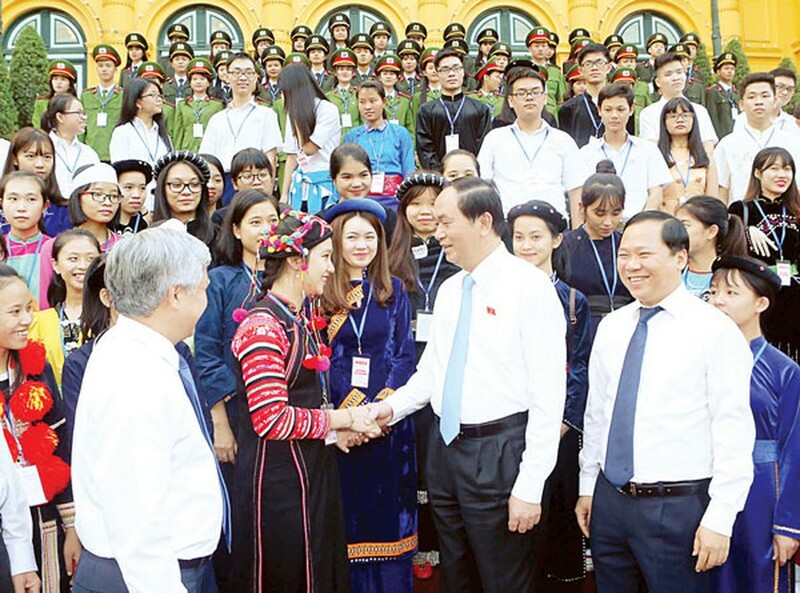 On behalf of the government and the party, President Quang honored 137 good students who have made great efforts in studying. The president expected local administrations, teachers and parents to well cooperate in taking care of students.